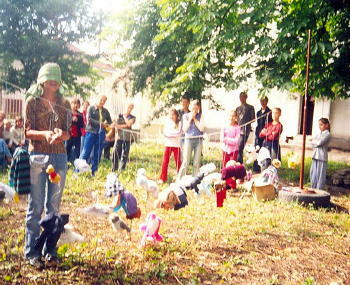 We are in the fifth year of our successful Vinogradov Street Children Program. The lives of children have been transformed/SAVED! 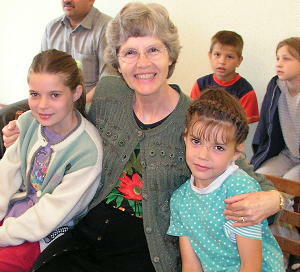 On the right is my wife Beverly with two of the street children who attached themselves to her on our visit to Vinogradov in June 2004. 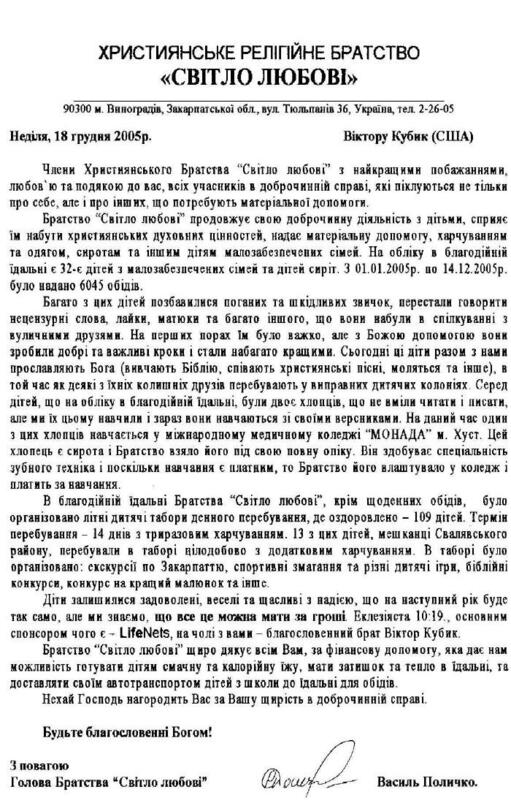 Vasyl Polichko FAXED us and sent along the photos below. The members of the Christian Brotherhood “Light of Love” with the best wishes and love express their thankfulness to all who participated in helping us from their good hearts to watch out not only for themselves, but for others who need material help. 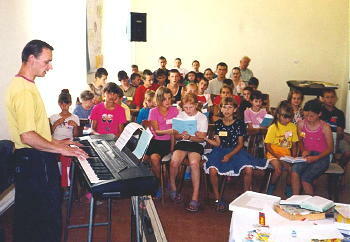 The Brotherhood “Light of Love” continues its charitable work with children because it is one of our Christian values. 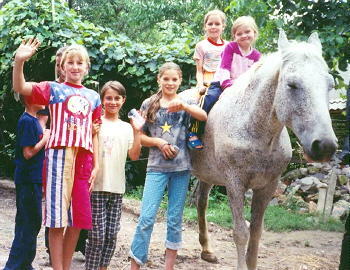 It gives material help, food and clothing to orphans and other children who are poorly cared for. 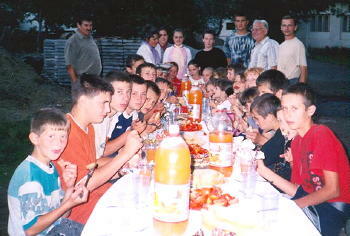 From the records of our kitchen, we cared for 32 children from dysfunctional families and orphans. From January 1, 2005 to December 14, 2005 we served 6045 meals. Many of these children have overcome difficult situations and have stopped using uncensored and mean abusive language and many bad habits that they acquired with other children on the streets. At first it was very difficult to make the changes, but with God’s help they have made good and meaningful changes and they have became much better children. Today, these children, along with us, glorify God (they study the Bible, sing Christian songs, pray etc.) at the same time when some of their former friends who behave badly are in special children’s detention locations. 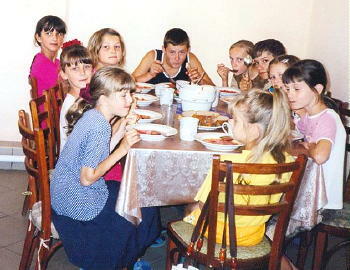 In addition to the daily meals at the charitable dining room of the Brotherhood of the Light of Love, we organized day summer camps where we admitted 109 children. The length of the camp was 14 days that served three daily meals. 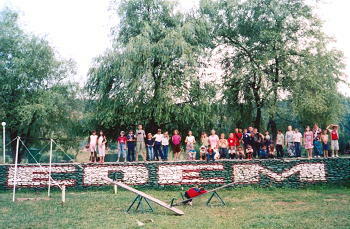 Thirteen of these children are inhabitants of The Svalyavsky region stayed at the camp overnight with additional meals. 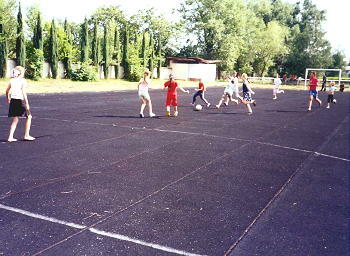 At the camp we organized excursions in the scenic Transcarpathian region, sports competition and various children’s games, Bible games and a painting competition along with other activities. The children were pleased, joyful and happy with hope that next year we can do it again, but we know that it takes money to make this possible (Ecclesiastes 10:19) and LifeNets has been the sponsor whose head is our blessed brother Victor Kubik. The Brotherhood of the “Light of Love” sincerely thanks all of you, for the financial help that has given us the possibility of giving our children tasty and nutritious food, to have peace and heat in the dining area and to have transport to bring the children from school to the dining area for meals. May God reward you for your goodness and good works! Below are photos from the descriptions above.